Byword, one of the very best markdown and text editor apps for iPad, has been updated to Version 2.0 today. This is a major update for this already stellar app – adding a number of useful new features and also a superb (paid for) premium upgrade that enables publishing to WordPress, Tumblr, Blogger, Evernote and Scriptogram. Notable new features in the 2.0 update start with impressive new offline capabilities. All Byword documents are now automatically downloaded when connected to WiFi for offline availability, and there’s now offline support for renaming, duplicating, and deleting Dropbox documents. I’ve tried out editing a Dropbox doc in Byword while in Airplane mode and then watched happily as it synced instantly when I turned off Airplane mode. Another handy new feature is the ability to duplicate documents and folders between Dropbox, iCloud, and device storage within Byword. The new premium upgrade is available as an In-App purchase for $4.99 – and lets you publish directly from Byword to Worpress and the other platforms mentioned above. I love this new option and made the upgrade right after installing the Byword update. I’ve tried out publishing to WordPress and Evernote and both work nicely, though they both have some limitations at the moment. When publishing to WordPress you can set the post title, tags, status (published or draft, pending, private), categories, and a custom URL. You can also add a custom field. When publishing to Evernote you can choose title and tags. 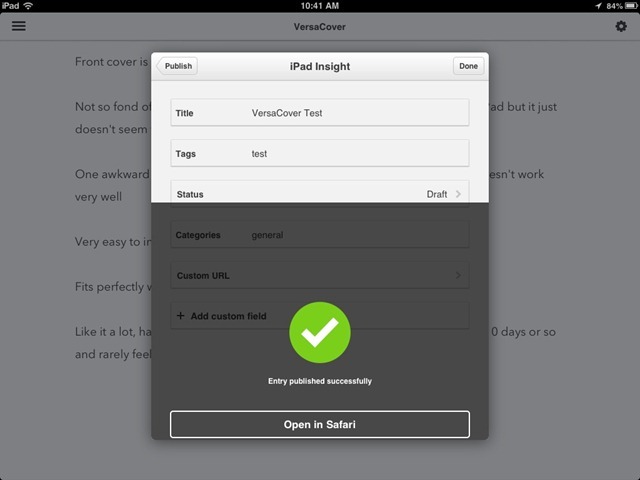 You can’t choose your notebook in Evernote and there’s support for text only at the moment when publishing. The developers are already working on support for media though. I already use Byword heavily and daily on the iPad and my Mac. With the 2.0 update and the premium upgrade my usage will only increase – as I’ll now be posting drafts straight to WordPress and sending text to Evernote. 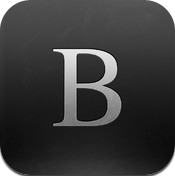 Byword was one of our picks for the Best iPad Apps of 2012, and it just got a whole lot better. In short, just a great update to a great app. Here’s an App Store link for Byword; it’s priced at $2.99.